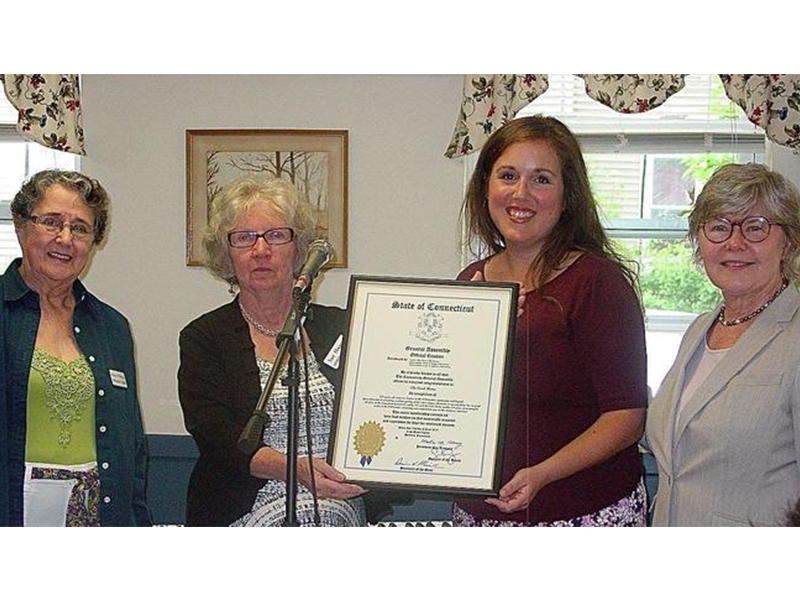 The Card Home celebrated its centennial anniversary, on June 10. The mansion on the corner of Pleasant and John streets opened its doors in March 1918 and has had several additions over the decades, but the home’s architectural beauty and stellar purpose remains the same. Dr. David Card was a field surgeon during the Civil War (1861-65). 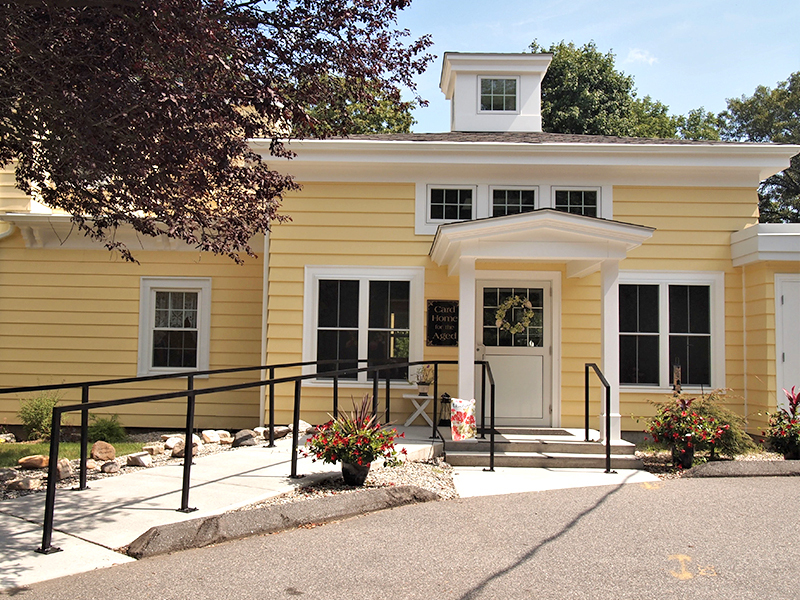 He established a practice in Willimantic where he attended patients for 40 years. During the time of his practice, the town was a bustling and prosperous location to live. 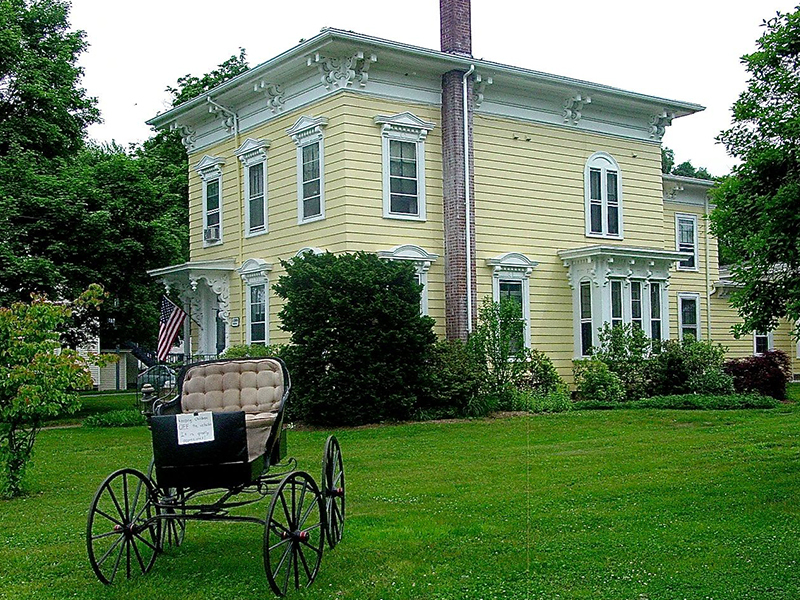 After the death of his wife in 1915, money from their estate was designated for use to establish a home for the aged in Willimantic, with funding to maintain it. The Card Home provides a helping hand to seniors without taking away their independence. Each resident has his or her own room, full or half bath, three meals a day, use of all the common rooms and many special touches, like a companion to walk with, or a ride to visit a loved one. Residents may have their own cars at the home, but most do not. There is a staff member at the home 24/7. The staff and Board of Directors threw a great party for invited guests and residents. The food was exceptional – with salmon, egg, and chicken croissants and tomato crostini with whipped feta as part of the selection. Residents mingled with guests and spoke positively about the home. “It is very comfortable here. We eat together; we make friends. I like to think everyone here is my friend,” Estelle Exley said. 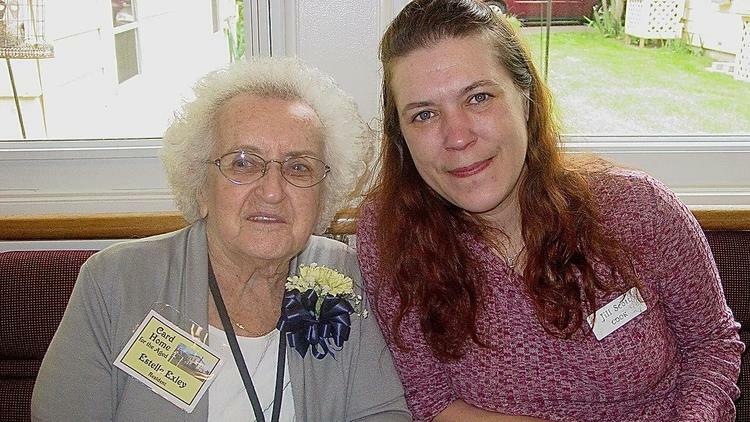 Jode Uhlinger, daughter of Thelma Hager, had praise for the staff. “The staff is very accommodating. Sue Humes, the administrator, takes my mother to visit my dad at St Joseph’s every Friday. That is an extra, not part of the package. It is nice to know she is in a safe environment. It takes the worry from the children. We need a lot more places like the Card Home,” she said. Johanne Philbrick, president of the board, welcomed guests and gave a brief history about Card, the home, and a bit of Willimantic. “The city was a vibrant, busy place 100 years ago. Three Ms – mercantile, mills, and mansions – defined it,” she said. While much has changed in town, the Card Home looks very much like it did in 1869 when it was built, and Card’s vision has not faded, but grown. The party had been delayed from March to June so the latest addition, the atrium could be completed. 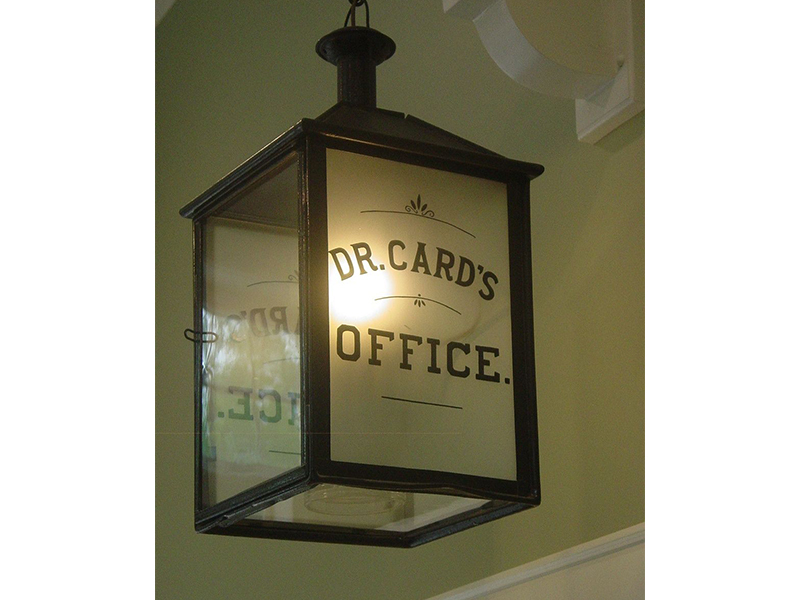 Hanging in the atrium is Card’s lamp that hung outside his practice in Willimantic.